In a recent interview, which I find unforgettable, former Botswana president Ian Khama noted that he never found politics enjoyable and went on to allude that politics is dirty. “It is dirty in any country where you go, the amount of negativity that is generated, the self-interest that drives a lot of people, I just don’t have time for that,” he said. In his ten years as president, Ian Khama spoke out against his colleague African leaders who outstayed their welcome. He also encouraged colleagues not to feel hesitant about leaving office and that they should move aside and give others the opportunity. I could not agree more with Ian Khama. Come to think of it, power makes some people drunk. And once it has been tasted with all the pomp and glamour, they want more and more. In Gambia, Yahya Jammeh overthrew Sir Dauda Jawara in 1994 only to become a dictator until he was forced out in 2017 after 22 long years. In South Sudan, after several years of fighting for independence, Riek Machar and Salva Kiir Mayardit are demonstrating that they are now independent by engaging in a seemingly endless bloody power struggle. In Zimbabwe, despite rock of ages in power until he was nicely booted out, former president Robert Mugabe, 94, recently cried foul that he never thought Emmerson “Crocodile” Mnangagwa whom he had nurtured and brought into government would turn against him. In Burundi, President Pierre Nkurunziza, a former rebel leader, who has been in office since 2005 is organizing a controversial referendum slated for 17 May that could allow him to stay in office until 2034. In Angola, Jose Eduardo Dos Santos ruled for 38 years. His successor, President Joao Lourenco, has now waged a crusade against corruption and targeted many appointees of his predecessor, including the daughter of his former boss. In South Africa, after forcing him to leave the position of president, many people can’t wait to see Jacob Zuma in prison. Back home in Sierra Leone, highly business minded former President Ernest Bai Koroma’s brother apparently drunk with power was speaking gibberish during the campaigning period calling it Chinese in a very provoking fashion of the poor and deprived. 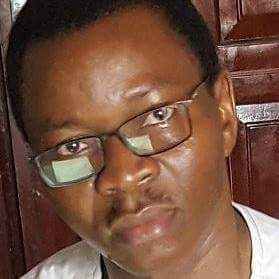 Earlier, an expression of gratitude to Charles Margai, who supported Koroma during the 2007 presidential runoff elections was to take away his piece of land. Honestly, I find politics somewhat entertaining and some politicians absolutely shameless. Against this backdrop, you can imagine my surprise when my younger brother called me up some years ago that he has decided to become a member of the SLPP. “Why?” I asked. “We need a new direction for this country,” he said, adding that things were going from bad to worse. Admittedly, I have been away from home for some years now amid frequent visits. Moves made to return home and to mainstream journalism a few years ago did not materialize as I ended up taking up assignment in the Horn of Africa followed by Europe. The plan to return to mainstream journalism very soon remains on course. During the recent electioneering, Promise called and informed me one day that he has been mercilessly beaten and narrowly escaped death from the hands of APC thugs that he went on to name. His personal belongings were also carted away: laptop, phones, iPad, cash etc. Efforts to get justice were futile. During the heat of the electioneering, Promise’s daughter fell sick. Like any father, while he made efforts for the child to get well, his detractors accused him of being responsible for his daughter’s condition. “He wants to use his daughter for black magic,” lips whispered into ears. His marriage was equally on the brink of collapse but “Paopa” Promise was determined not to call it quit but to stay in the country as one of Bio’s foot soldiers. “Why Bio?” I asked. “To follow anybody is to believe in that person. I believe Bio is sincere to see the country develop for the general good of all and not just a selected few which is why I chose to be a part of the young generation in the western area to bring about positive change. I hated every bit of the APC plunder,” he says. Practically, what did he do to make a difference? “I worked with young people. I created support groups through effective networking. Today there are a lot of foundational testimonials, Green Light Movement, One Voice Movement, Green Light Ladies, etc,” he adds. 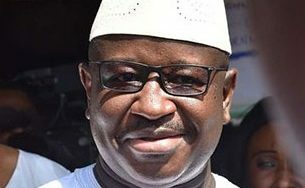 Promise, who is a graduate from Fourah Bay College and has done other courses, said the APC injustice spurred him to enroll for a course in law to fight for the rights of people. “Many people were illegally sacked or not given jobs not because they were not competent but because they were not members of the APC”. Is he happy that Bio is now president? “I feel like the happiest man on earth. 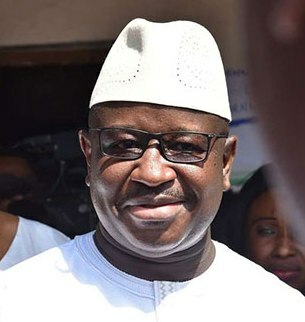 I am very excited and confident that the new direction will succeed,” says Promise, whose car was also damaged during the presidential runoff, an incident that he says was shown on African Young Voices television. Many Sierra Leoneans will agree with Promise that Sierra Leone needs a positive and sustainable change. Objectively speaking, the establishment of the Attitudinal Behavioral Change Secretariat was a good move during Koroma’s tenure. However, change should have started with members of the APC government themselves first by showcasing exemplary leadership. The truth is, we cannot become what we want to see by remaining what we are. Most times I am appalled by the huge sums of money paid for contracts and projects some of which never exist, outrageous procurement of goods and services, ghost workers, and the stealing of millions and billions of leones by people some of whom now have protruding stomachs as if they have swallowed ten goats. You see, when we decide to change our ways of thinking and doing things, we do not only do it for ourselves but for our children and generations yet unborn. We need a proactive change in all sectors and at all levels. In this regard, I doff my hat to Ian Khama who served to the best of his ability and was eager to give chance to others and not play games like: “after u na u, extra time etc”. Incidentally, like Bio, Khama had also served in the military and is certainly a good example of a new generation of African leaders. I am following President Bio and so far his efforts to generate revenue, stop leakages and potentially create jobs and decent wages, among others, are impressive. 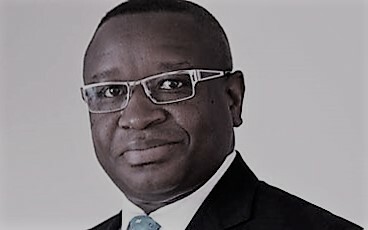 His Minister of Information and Communication Mohamed R. Swaray has hit the ground running by coming out with the truth, owning up when mistakes are made and not the blatant APC propaganda that insulted the intelligence of Sierra Leoneans. As the clock ticks, to Promise, whose determination to see a change has been awesome, and to all those in the SLPP government, always remember that when you do well, we will commend you. If you make a mistake, we will point it out, and if you take the same old ugly direction like the APC kleptomaniacs, we will very constructively crucify you. Best wishes! Note: Sulaiman Momodu is a former editor of the Concord Times newspaper and reported for the BBC during the Sierra Leone civil war. He is currently based in Switzerland.